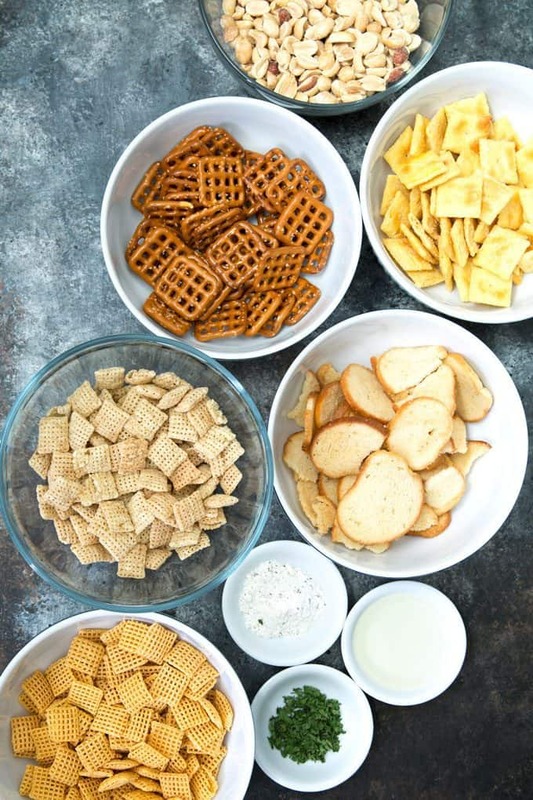 This ranch snack mix is easy to make and delicious! Simple ingredients and seasonings create a snack that you won’t be able to stop eating. You know you have a recipe winner when you have your friends and their friends and their friends’ friends asking for the recipe. Yep, that’s what happened with this ranch snack mix. I have always been a fan of easy recipes as I’m sure anyone who frequents Honey and Birch knows. My easy muffins with jam are great for breakfast or snacking. My braised porcupine meatballs are so easy that my mom made them for us many, many times after working all day. Who doesn’t like an easy recipe? To get started pre-heat your oven and then grab a big bowl. Pour all of your ingredients except the oil into the bowl and mix it really well. I have used store-bought ranch seasoning and have used homemade ranch seasoning. I’ve also forgone the bowl and shaken everything in a large plastic bag. It all depends on my mood. Then I dribbled the oil on top of the whole mixture and stirred really well. Make sure you dig deep to the bottom because the seasonings sink and they’re the most important ingredient. Once everything is covered in oil, it’s time to pour the mixture onto a sheet pan. Use a spoon or spatula to spread it out evenly. Pop it into the oven and bake it for about 10 minutes. When it’s done baking let it cool before eating. If you can wait… be careful, cause I couldn’t and my fingers got a little toasty. Store the finished product in a sealed bag or jar until you’re ready to eat. If my friends were a good example, it’s not going to last long – you’re going to eat it all up! If you go to FromThePod you can grab the recipe and all of the ingredients from Peapod. You know that’s what I did. 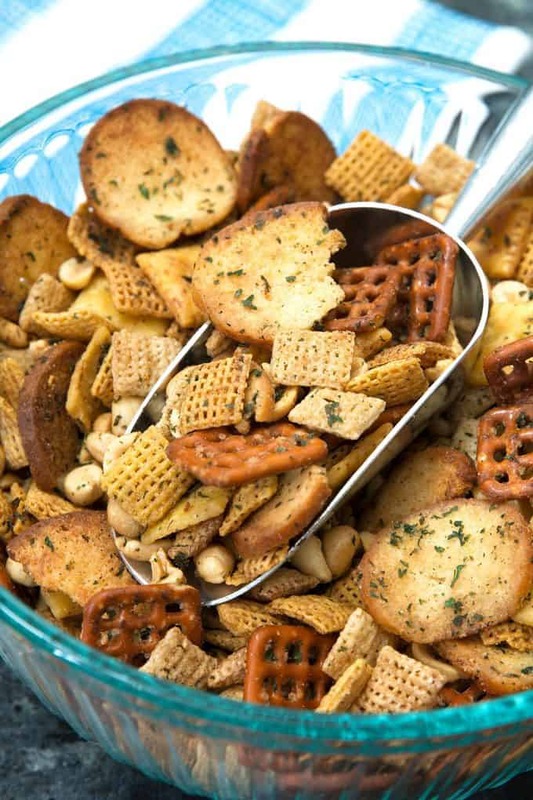 This ranch snack mix is easy to make and delicious! 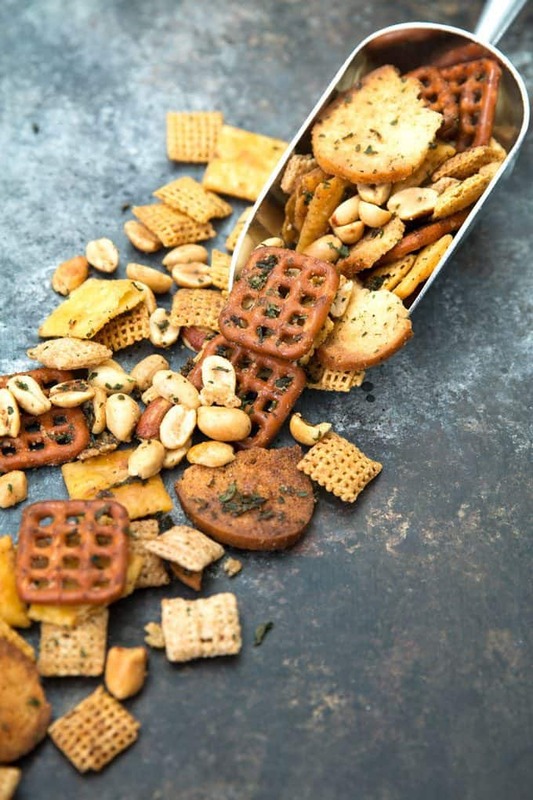 Simple ingredients and seasonings create a snack that you won't be able to stop eating. In a large bowl, combine all ingredients except the oil. Then add the olive oil and stir until all ingredients are well-coated. 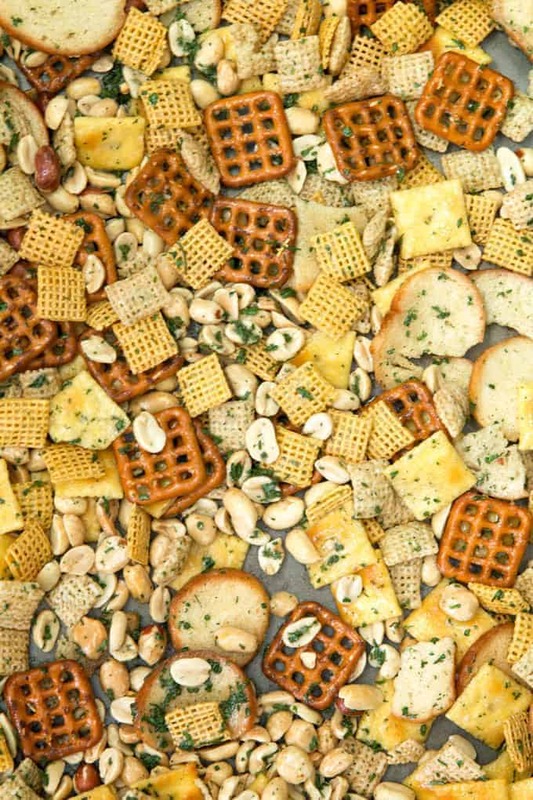 Pour out the snack mix onto a large sheet pan. Place sheet pan in the oven and bake for 10 minutes. Remove from oven and let cool before eating. 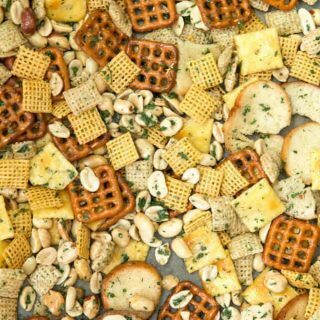 i’m such a sucker for anything with chex in it. This looks delicious!